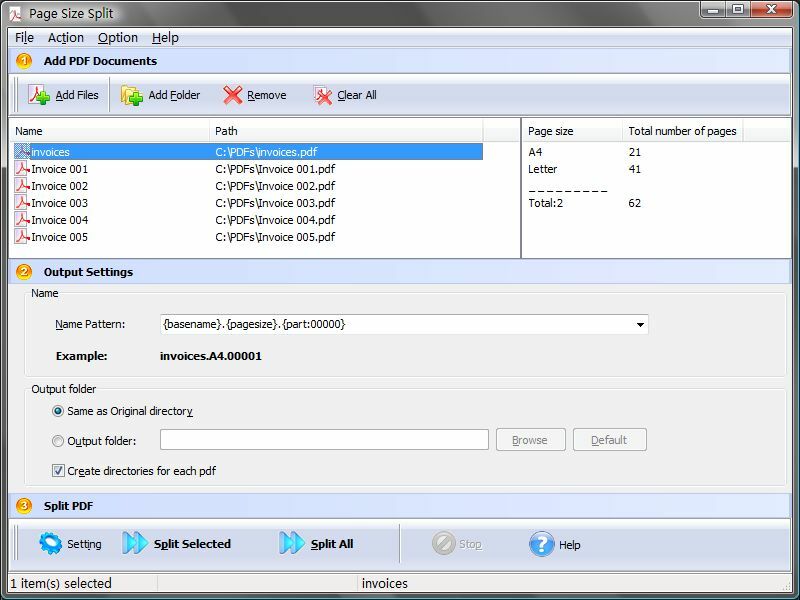 A-PDF Page Size Split is a simple desktop program that lets you to batch split Acrobat PDF files into smaller PDF files based on page size. For example, there is a file with 5 page of A4 and 3 pages of A3, A-PDF Page Size Split will split the file to 2 files, one for A4 and another for A3. A-PDF Page Size Split does NOT require Adobe Acrobat, and produces documents compatible with Adobe Acrobat Reader Version 5 and above. ...... A-PDF Page Size Split can help you to split them for print without interruption. A-PDF Size Split Split is a standalone program costing only $49. It does NOT require Adobe Acrobat Pro, which costs hundreds of dollars. Qweas is providing links to A-PDF Page Size Split 3.0 as a courtesy, and makes no representations regarding A-PDF Page Size Split or any other applications or any information related thereto. Any questions, complaints or claims regarding this application A-PDF Page Size Split 3.0 must be directed to the appropriate software vendor. You may click the publisher link of A-PDF Page Size Split on the top of this page to get more details about the vendor.